Excellent for Hot cakes and Waffles. This button places selections in your shopping cart. Just press any of these buttons before you leave this page. Please use the "Check Out" button, at the top of the page when you are done shopping. Mahalo. Dry Roasted, Salted, Macadamia Nuts. Covered in Luscious Milk Chocolate. A gourmet confection from Island Princess, using premium macadamia nuts, hand picked from our own plantation on the beautiful island of Hawaii. Island Princess Mele Macs, 7 Ounce Gift Box. Quantity Three Each, 7oz. Gift Boxes of Island Princess Mele Macs. Quantity Six Each, 7oz. Gift Boxes Island Princess Mele Macs. Quantity Twelve each, 7oz. Gift Boxes, Island Princess Mele Macs. 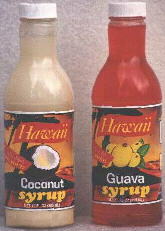 Minimum order is 1 each of any Mele Mac Products. 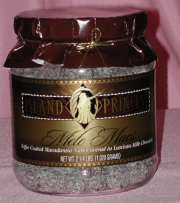 Island Princess Mele Macs, 2 Pound, 4 ounce Jar. Quantity: 3 Packages of Maui Style Potato Chips is $9.00. Quantity: 3 Packages of Maui Onion Potato Chips is $9.00. Quantity: 5 Packages of Maui Style Shrimp Chips is $7.00. Have a great Luau !!! Please select the links below to complete your Hawaiian Party. Contact salt@spiced.com if you have a question regarding anything on this site. The items on this page are available for quantity discounts for wholesale or retail buyers.